The following is solid advice and quick guide to the management of trees. You can do this by carrying out regular inspections. If you are unsure then Ace of Spades Gardens would welcome a call or email to provide professional tree advice. This may discharge or lessen any future frightening legal claim due to damage or injury to a third party. The effects on trees are now even more complex with the recent climate changes, disease, storm and snow damage, age or a change in the site use following construction. 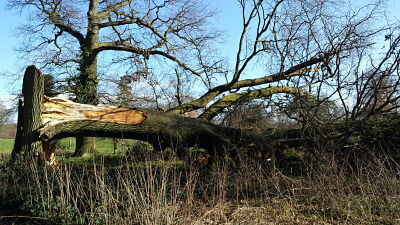 Ace of Spades Gardens Ltd carry out regular timely tree hazard surveys for our clients and provide a risk based and timed sequenced set of works in a report. Know when and how often to manage the trees. Pollarded, coppiced and pruned trees don’t stop growing once they are pruned. Ace of Spades gardens will provide expertise in current and future tree surgery works to avoid long term problems. Expert tree advice on growth rates is given so our clients can forward plan for future tree pruning works. Tree planting so the right tree planted is in the right place. Ace of spades gardens provides free advice so our clients avoid future tree root problems such as structural damage. And that new trees are suitable for the soil type and atmospheric conditions. What we avoid is a large trees in a small garden lifting walls, patios and overhanging a neighbour’s roof. Newly planted trees also require some level of management to avoid future problems. 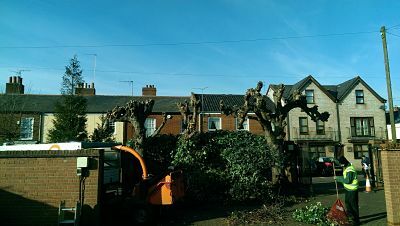 We are keen to ensure great tree pruning works and the latest techniques in tree management. Mike Barker a Level 6 Professional Diploma holder uses all the latest techniques in tree management to ensure you have superb landscapes. The team of experienced arborists always provide excellent professional products.